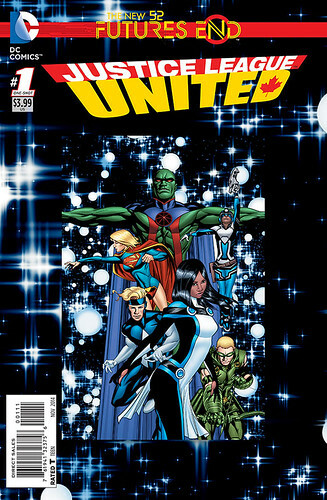 DC Universe Online: Legends was a limited series published by DC Comics from February 2011 to May 2012. 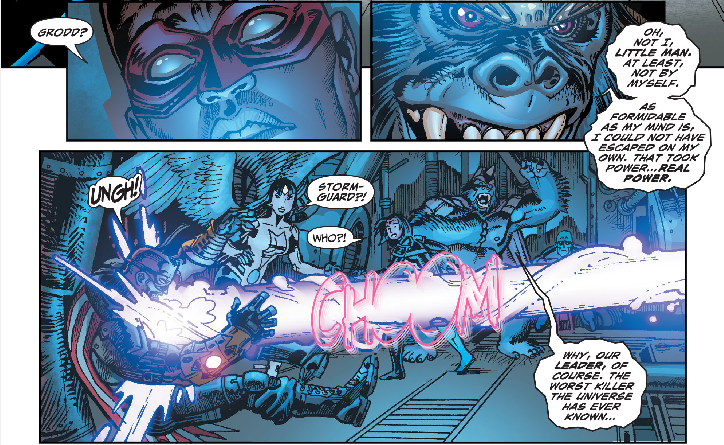 It was an expansion of the story of the DC Universe Online MMORPG video game. 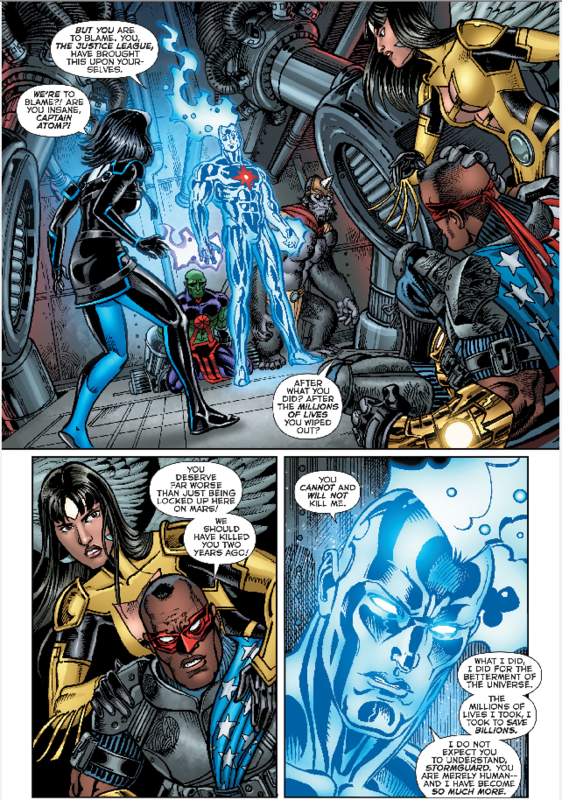 The series was written by the game’s story co-writers Marv Wolfman and Tony Bedard with Tom Taylor writing issues 16 and 17. 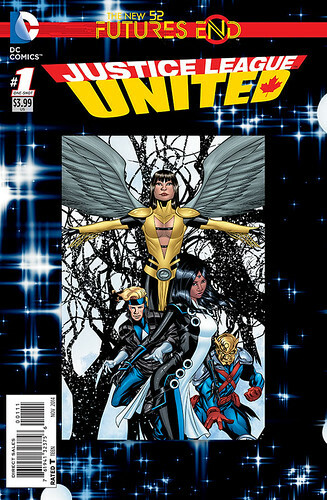 It was a biweekly series that ran 26 issues. 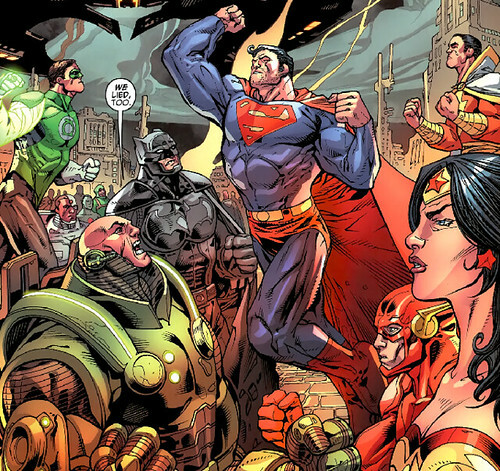 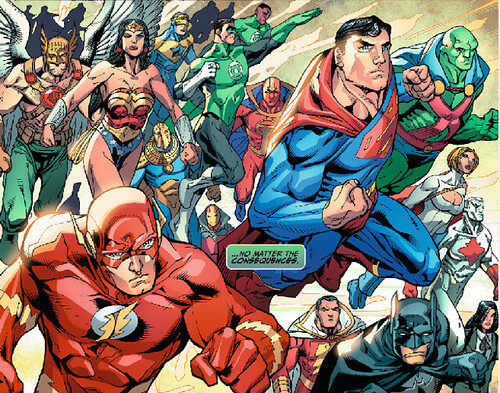 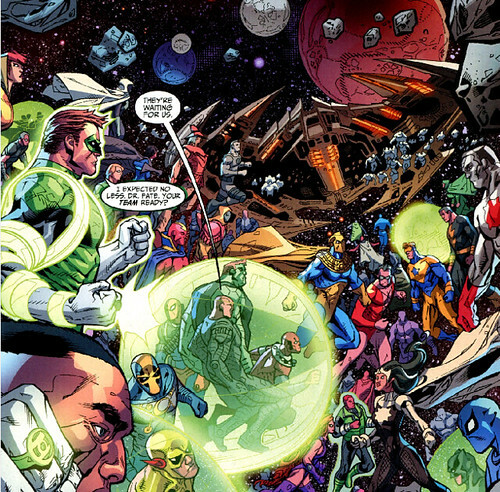 Although the series featured many DC characters, it took place outside of the regular DC Universe. 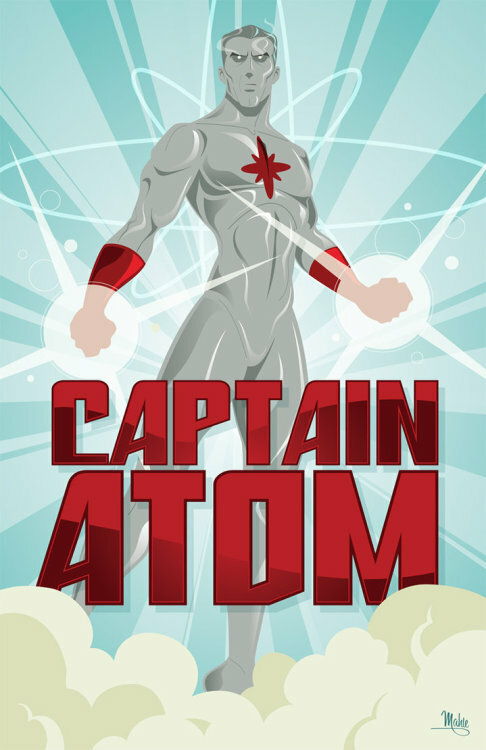 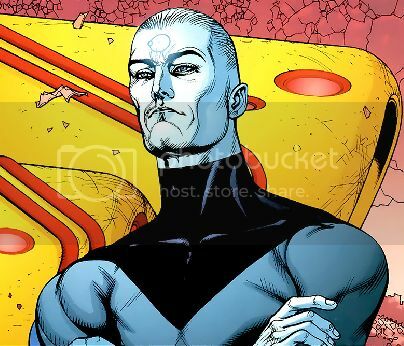 So the Captain Atom who appeared in this series (who did bear the alter-ego name of Nathaniel Adam and looked like the Modern Age Captain Atom) was a new version of the character. 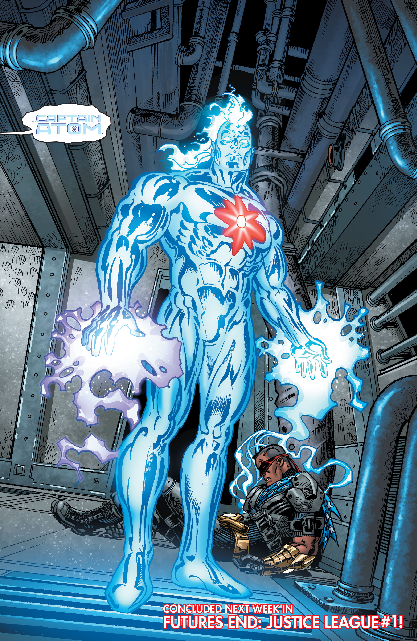 Like the Injustice Captain Atom that came later, the DC Universe Online Captain Atom did not have a life outside the video game that spawned him or the regular DC Multiverse. 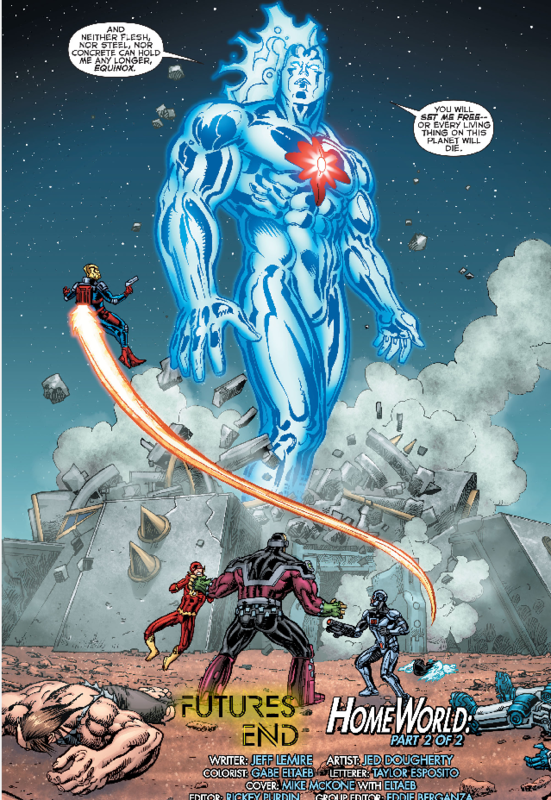 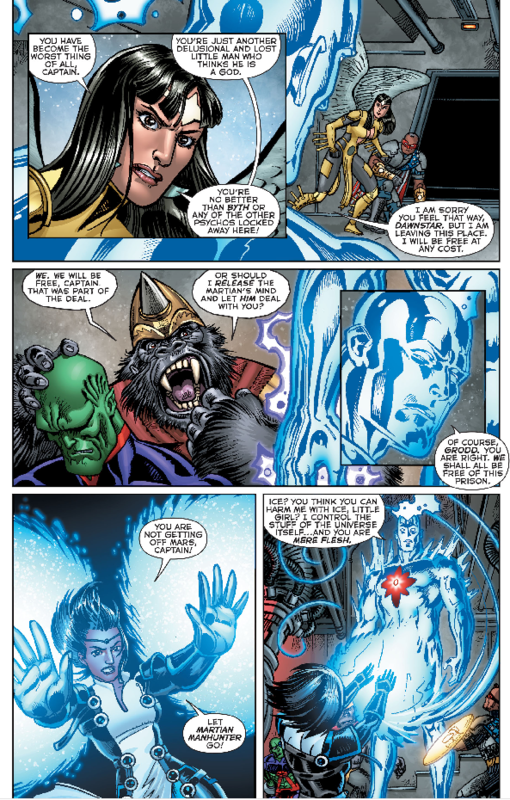 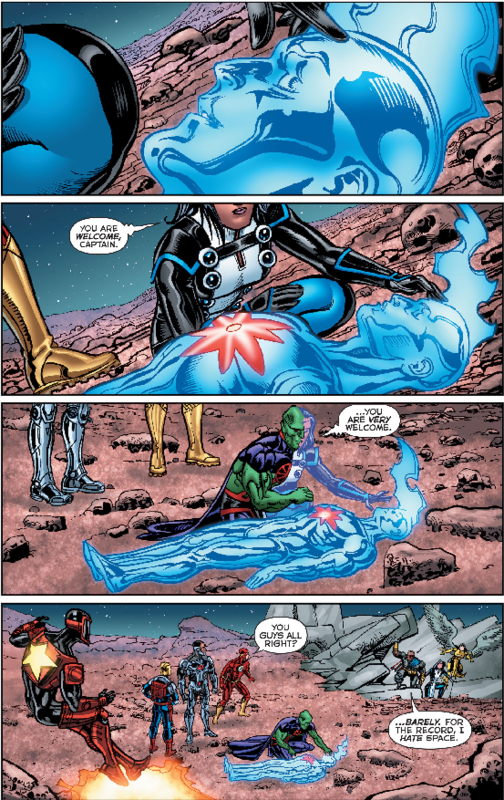 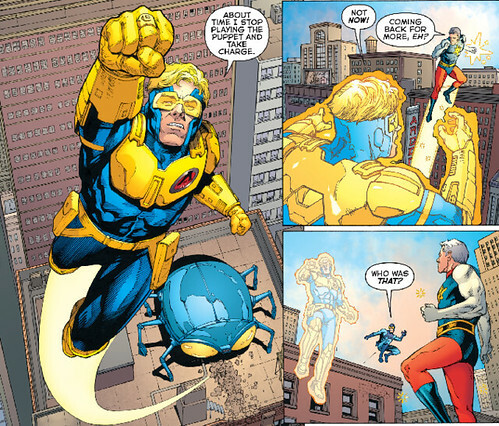 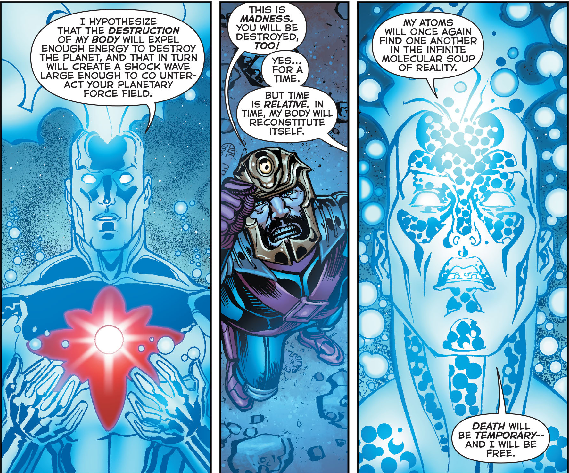 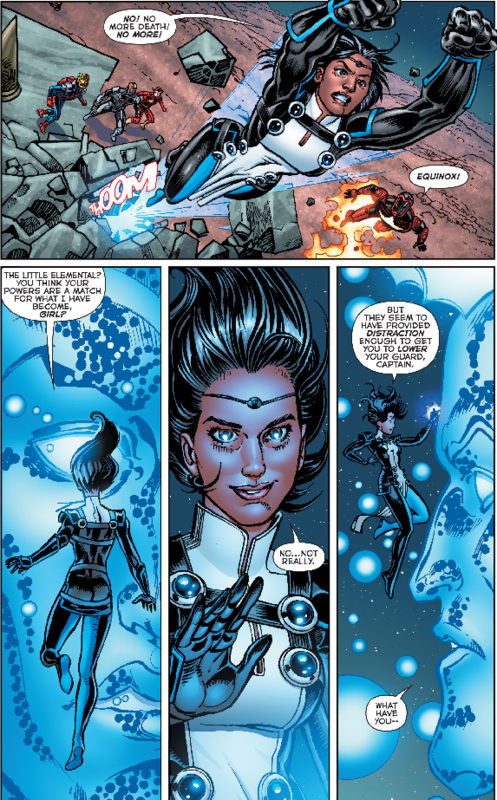 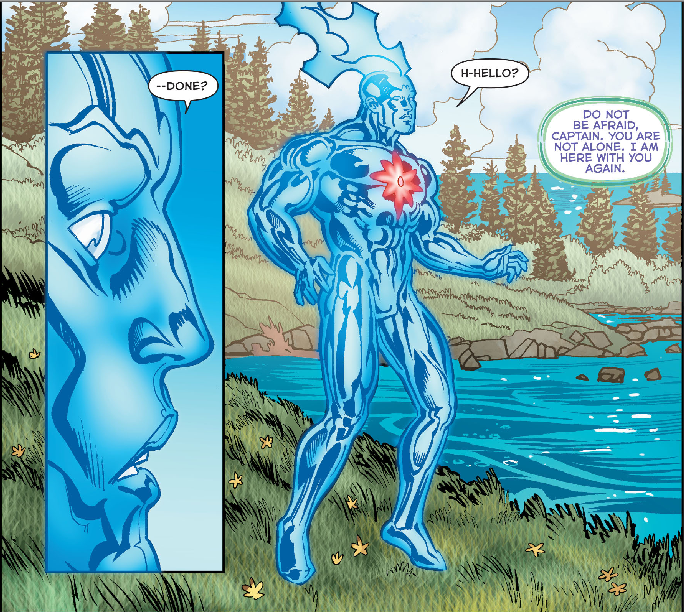 Captain Atom first appears in the series in issue #22 as part of a multi-character splash page. 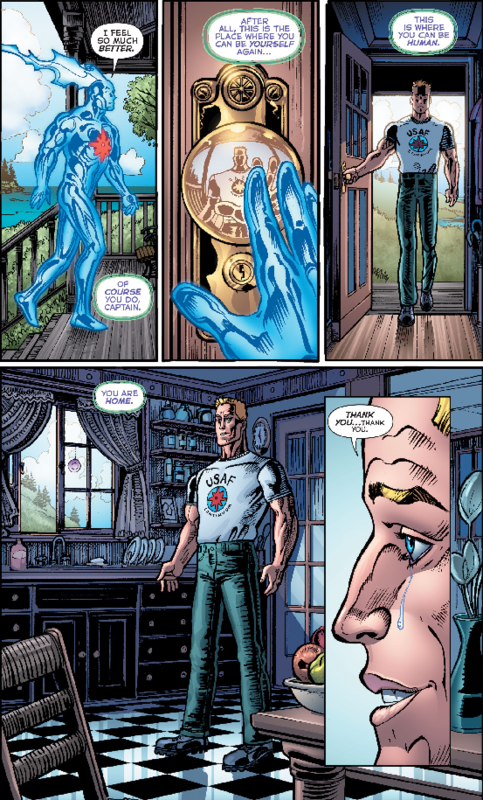 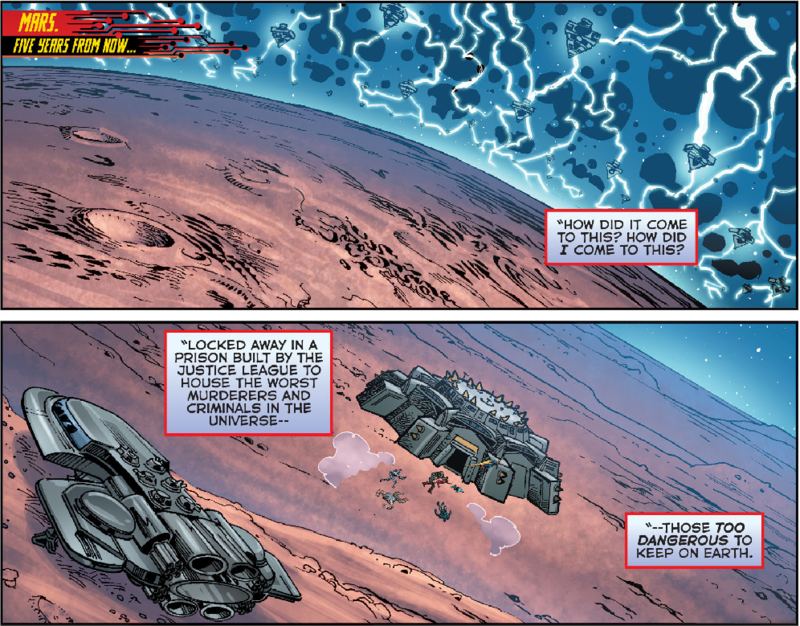 These images were all drawn by Howard Porter (pencils), Livesay (inks), and Rex Lokus (colors), with letters by Wes Abbott. 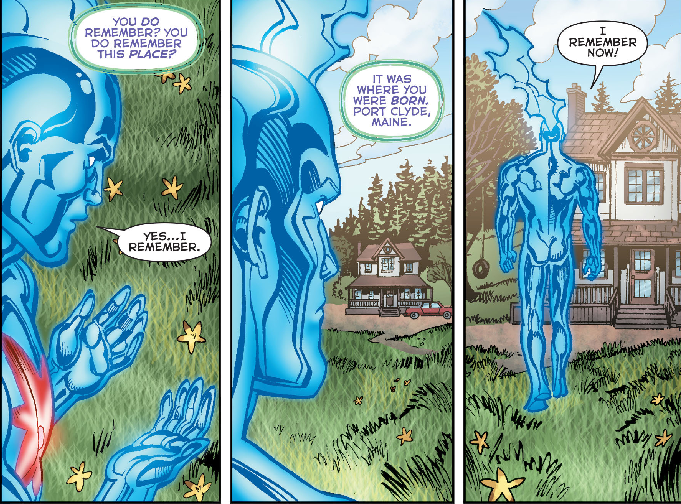 The next time we see Cap it is the final panel of issue 24. 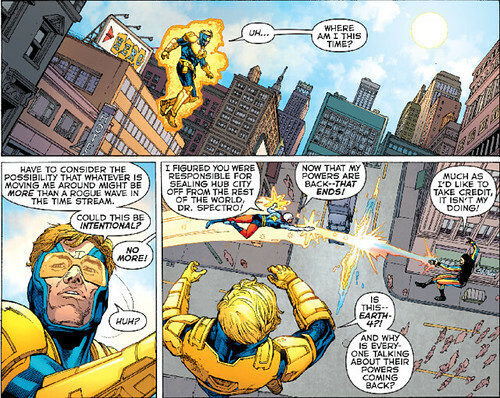 Cap has been pushed off into the background. 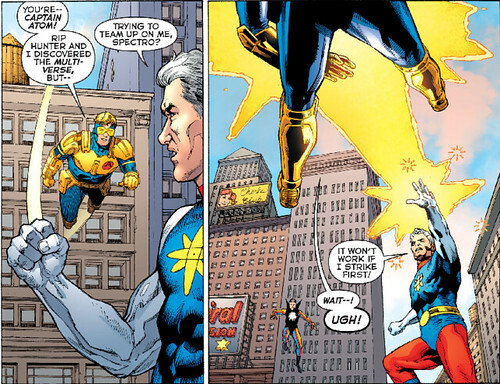 Unfortunately, Cap is also just background fodder in issue 26 as well. 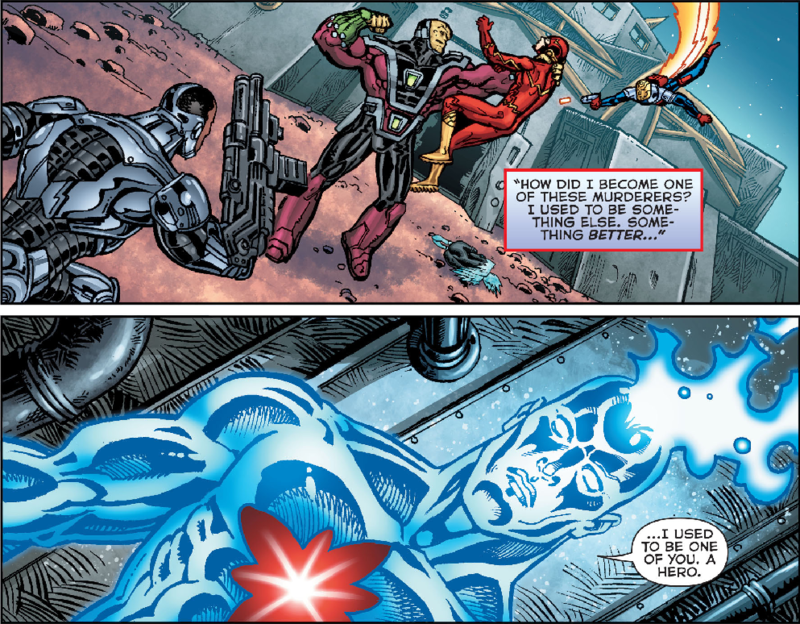 So, the DC Universe Online Captain Atom appears in these three issues but contributes nothing to the story. 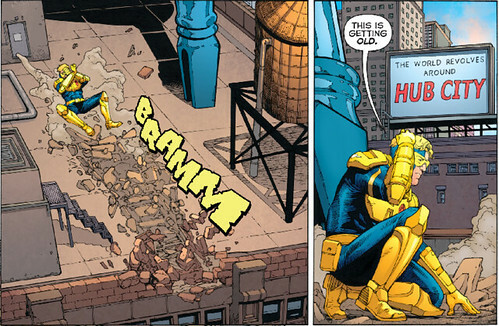 Oh well, I suppose it’s better than nothing.